Samantha has always wanted to help and provide beneficial care to people and so was naturally attracted to the medical field. She attended the University of Mississippi where she acquired A Pre-Med Bachelor of Science Degree with focus in Exercise Science as a base to get her Doctorate in Physiotherapy. 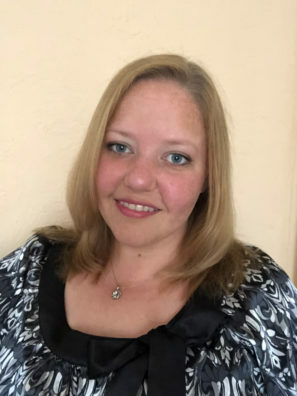 After finishing her BASc, she wanted to expand her knowledge and expertise while saving for graduate school and ended up attending the Cantral Florida School of Massage Therapy. It was then that she realized that massage was the perfect fit for her and she has been working as a Massage Therapist for the past 12 years. While she never ended up attending graduate school she never completely let go of her interest in Physiotherapy. Instead, she used it to develop a unique form of massage called Biomechanical Release Technique. It combines Physio and Massage Therapy and focuses on pain relief without the need for deep pressure, which can often be painful. This method looks at the body as a whole and how it functions, moves and the imbalances to find where the original problem is located. This means she goes after what is causing each person’s discomfort instead of merely treating the symptoms. She has a lot of experience in dealing with chronic pain issues and injuries of all sorts and has helped over 2000 people aged 10 to 98. Her ability to relieve pain in a gentle manner when needed and her compassion for others helps to put anyone at ease when they see her for treatment. In her free time she continues to use her hands and creativity to make various things. She crochets, sews, paints, cooks, constructs, sculpts, refinished furniture, and is always looking for a new project to try out.